Sansin is the global leader in environmentally-friendly wood protection. Since 1986, we’ve been focused on creating the best performing, most beautiful water-borne wood finishes in the world. Our innovative research and development program has made us the leader in developing environmentally-friendly alternatives to traditional wood coatings and preservatives. 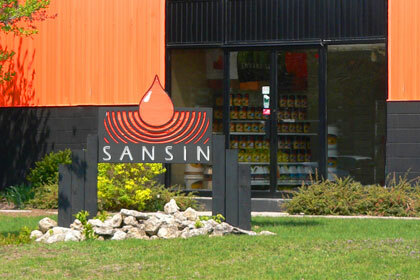 With a growing network of dealerships across Canada, the United States, Western Europe and Russia, Sansin Enviro Stains are fast becoming the world-wide choice for customers who demand the absolute best in performance and beauty for their homes. Every day at Sansin, our passion for what we do drives us to find ways to protect wood better. Every day, we work with our clients to meet and anticipate their needs better. And every day at Sansin, we fulfill the promise of naturally perfect wood protection.